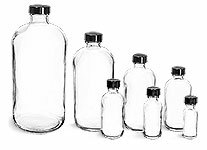 Tamper evident packaging helps consumers identify whether or not a container has been opened prior to purchase. Tamper evidence is vital for a number of industries, from food and beverages to industrial chemicals and pharmaceuticals. While using tamper evident closures does not make a product tamper-proof, it can give customers peace of mind that the products they are buying have not been altered after leaving the manufacturer. 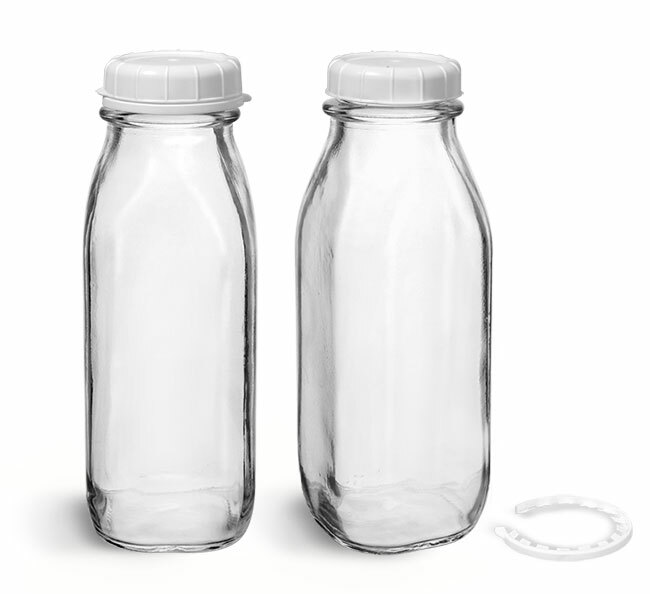 These 16 oz clear glass dairy bottles come with white LDPE tamper evident caps. Tamper evidence allows customers to identify if the product has been opened prior to purchase, it is an important factor to consider when packaging food or beverages. 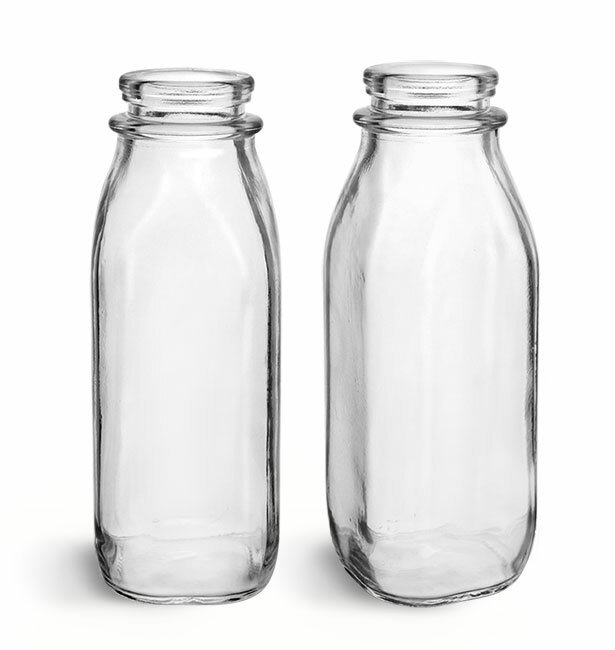 These bottles could be a good option for packaging products like milk or cream.